This sounds like s a great event! Join in for a fun-filled, educational day featuring baby animals, a petting zoo, pony rides, spring activities and much more! This is a free event. Due to the popularity of some attractions, certain lines will close a half-hour prior to event ending to ensure everyone in line gets a turn. – Food vendors: bring cash for treats available for purchase from local food vendors. Families that plan on interacting or touching the animals will need to register at the SAMLARC booth the day of the event need to register. Registrations on will be taken the day of the event. Please make sure to leave your pets at home. Christmas Walk is the Corona del Mar’s Chamber of Commerce most popular event of the year! This is an absolute can’t miss special event filled with holiday festivities for family, friends, residents and visitors looking for a spectacular way to ring in the holiday season. Each year “The Walk” brings together thousands of fun-loving people into the Village of Corona del Mar for live entertainment, food, prizes and games in true holiday spirit! Event will be held at the Corona Del Mar Village located at: 2855 E Coast Hwy, Corona del Mar, CA . The festival grounds will be transformed into a winter wonderland where 175 artists create, display and sell original creations over the course of four weekends. 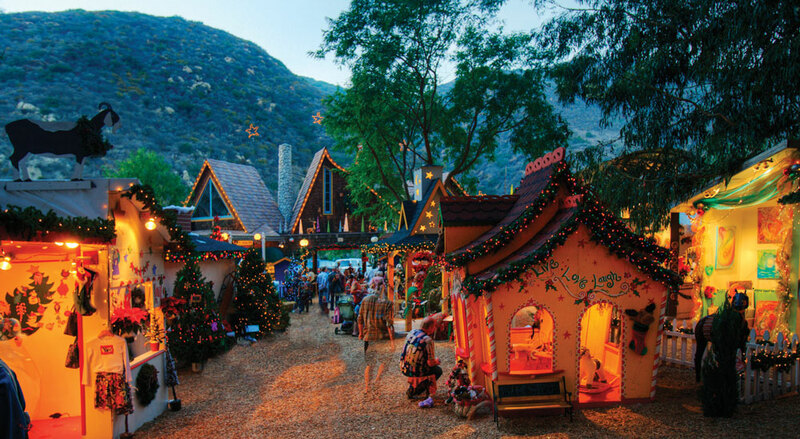 The Winter Fantasy offers the most unique holiday shopping in all of Southern California. Art media includes jewelry, clothing, fused and blown glass, ceramics, woodwork, forged metals, painting, photography, sculpture, clothing and textiles. Experience unique artwork by 175 artists, live holiday entertainment, great outdoor cafes, art classes and demonstrations, petting zoo, Santa and much, much more! With amazing art gifts, thousands of holiday decorations and picture-perfect moments, the Sawdust’s Winter Fantasy will become your family’s holiday tradition. 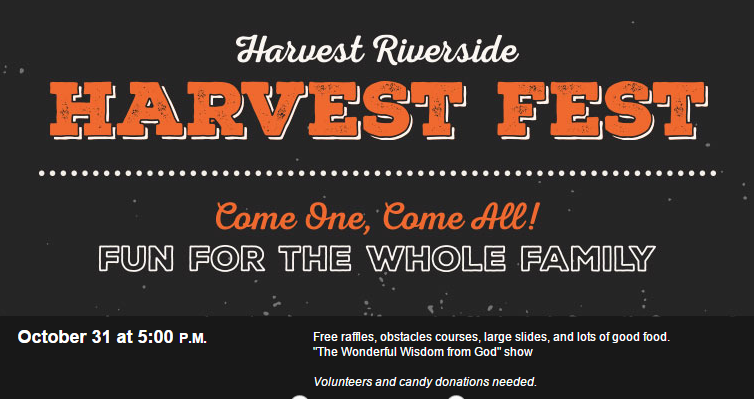 Harvest Christian Fellowship is hosting a “Harvest Fest” at both the Riverside and Orange County campus on Halloween night. The festivities begins at 5:00 P.M. 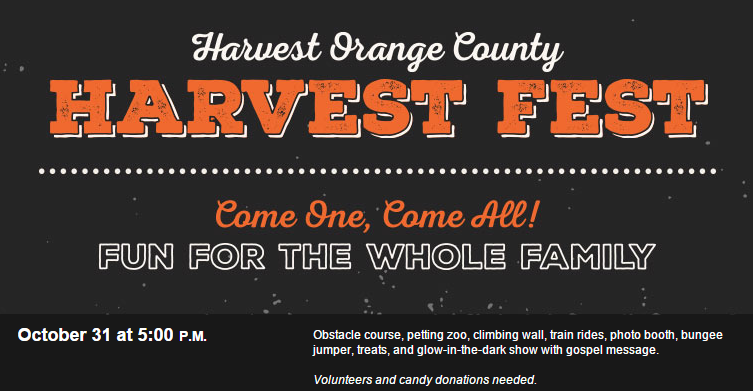 In Orange County, there will be games, an obstacle course, petting zoo, climbing wall, train rides, a photo booth, bungee jumper, and treats. The evening will also have a glow-in-the-dark show with a gospel message. 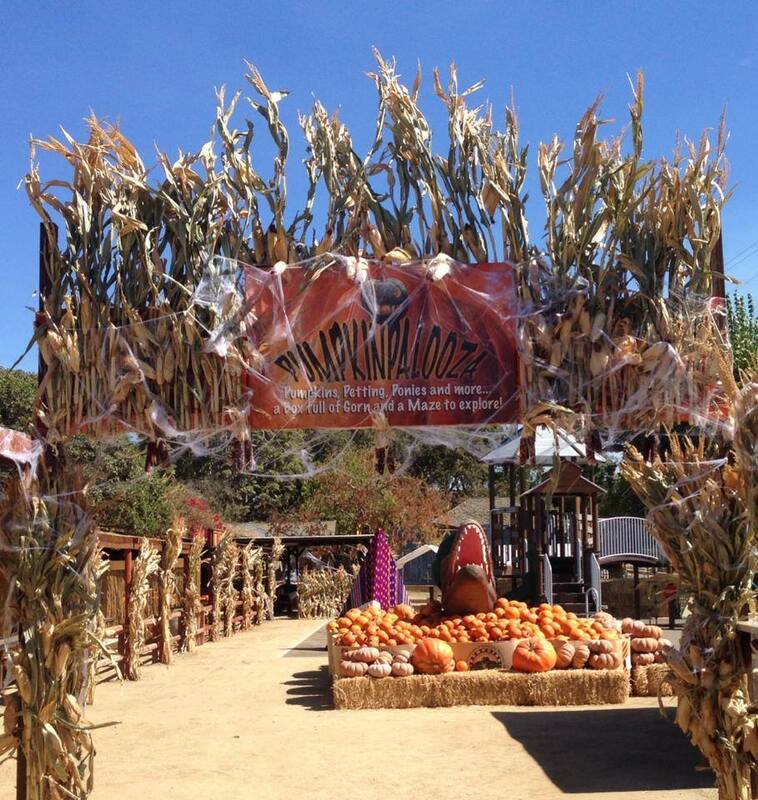 The Original Farmers Market in Los Angeles transforms for their FALL FESTIVAL on OCTOBER 18 & 19, 2014,. This FREE event will be held all day long. Each Fall, Farmers Market celebrates the harvest with a great, family-friendly festival. In addition to crafts and entertainment, the Festival features several bands playing country, bluegrass and western swing, and special acts just for children. 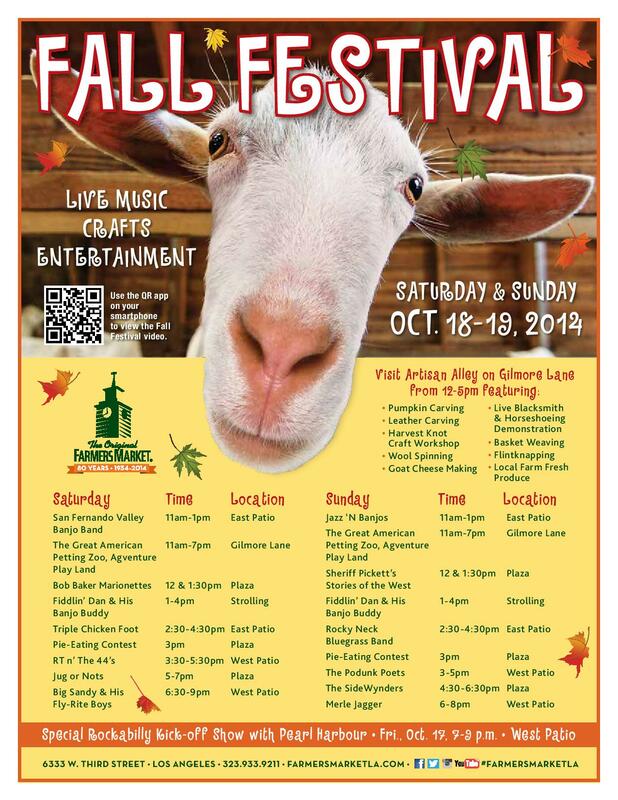 Fall Festival offers very special activities, too including a petting zoo, Agventure Play Land and Artisan Alley. You will also find the Market and its merchants fully decorated! Pumpkinpalooza is here! This month at Zoomars there are no tricks, just a treat. Visit during the month of October and you’ll receive a special offer good November 1st through Christmas! In addition to their petting zoo, they offer rides on their mini-train or saddle up for a pony ride or pan for treasures at Miner’s Gulch. Swirl and slide in the playground or lose yourself silly in the giant corn box. For the next 5 days Zoomars has a great offer through -$25 for Admission for Four with Two Train Rides and Two Pumpkins to Decorate at Zoomars. 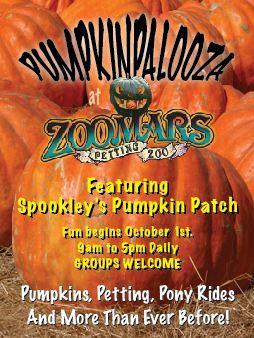 For the next 5 days Zoomar’s has a great offer through Groupon -$25 for Admission for Four with Two Train Rides and Two Pumpkins to Decorate at Zoomars. Zoomars is a one of a kind and hay bales of fun. We’re good times,friendly animals and the happiest folks you’ll ever meet. For the past 30 years our little zoo has charmed more than three million visitors. The 22nd Annual Pumpkin Festival where you can choose from thousands of pumpkins right out of the patch is right around the corner. Eat and play games at the College of Agriculture student club booths or head over to our popular Insect Fair featuring nearly 500,000 live and preserved insects (runs from 9am-5pm). There is also a corn maze, a petting zoo, horse rides, entertainment, and lots of activities for kids! If you like pancakes, get there early for the pancake breakfast Saturday morning only from 8am-11am. Bring your appetite! Prices vary for individual activities such as the corn maze, horse rides and the petting zoo. No animals are permitted at the pumpkin Festival , Cash Only-ATM machines are available, All proceeds support College of Agriculture student clubs and activities, as well as farm operations.